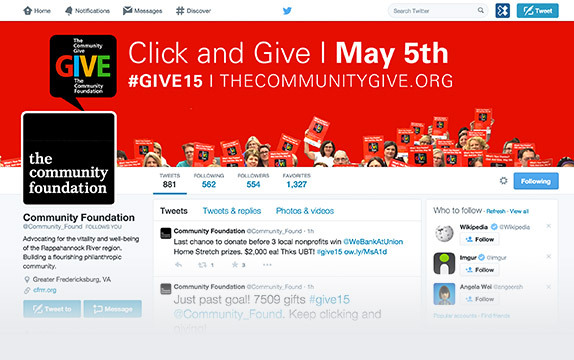 The Community Foundation approached us as they needed help with visual design for both social media and an infographic to summarize their annual Community Give event for 2015. 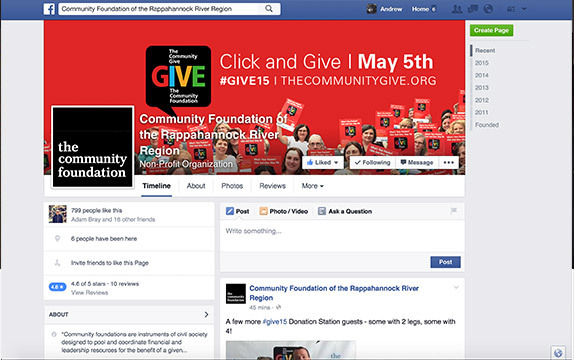 We helped develop various social media advertisements so that the Community Foundation would be able to help spread the word to people in the Fredericksburg region about the event and how people can donate to their favorite Non Profit. The infographic, which was also made into a postcard, was handed out to donors thanking them for participating while also informing them that they helped The Community Foundation reach their goal.